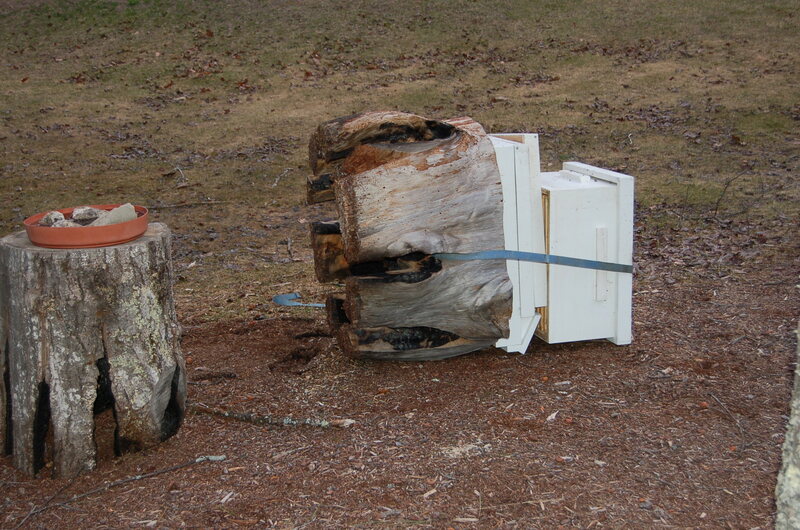 This entry was posted in beekeeping. Tagged bears, bears and bees, bee keeping, Bees, honey bees, honeybees, memoir. Next Post Next post: How do you spell RELIEF? Oh no. What a mess. At least you haven’t received your new bees. 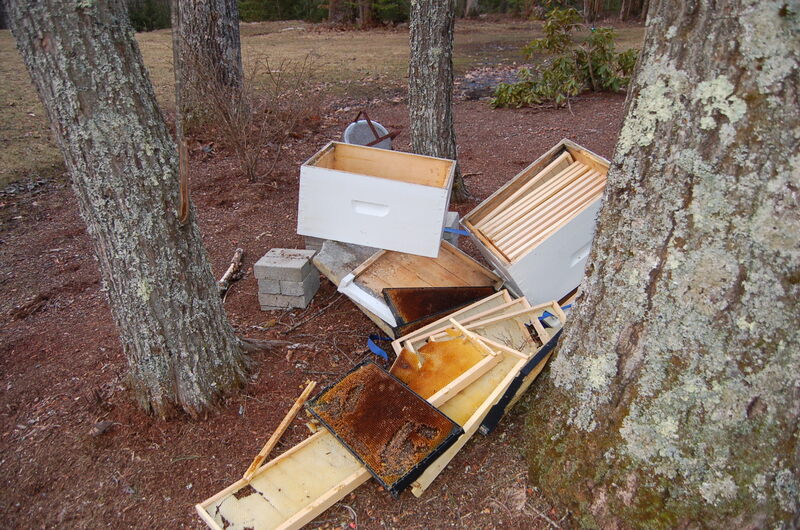 Hopefully, they will move off after finding the hive empty. Thank you Laura. I have called Wilson to help put up some fencing and rebuild the yard while I’m at work today. Not sure how it will all turn out but I have to work today so I’ll let you know…. I should be home almost all day if you think of anything I can do to help. Oh NO!!! How long until you get your new bees? Perhaps if you clean out the site for a couple weeks, they will wander on to another spot? I’m so sorry…. Too bad but to be honest I thought they’d get after those hives long before now. Electric fencing does work. True I have been tempting fate and was so lucky, 24 hours later and I would have lost $$ of dollars in bees too. Thanks James, adding electrons with a good charge! Wow, that’s a setback, but better to happen and not later. Keep going, these things are there to test you, you’ll get there in the end, and think how happy the bees will be, making all that honey for you! Thanks Mark, I will keep going as the bees are such a joy to watch. Next weekend, new bees and new fencing! Shocker! I sure have a lot to learn about life in New Hampshire. 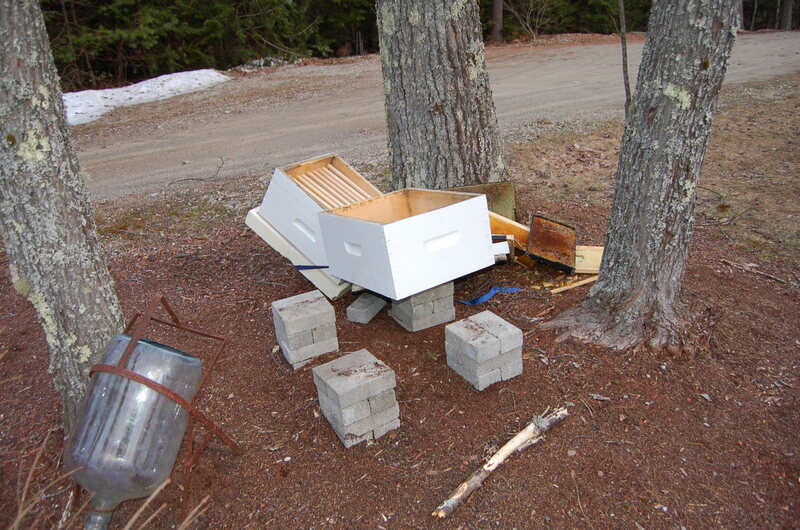 I received an email warning from NH Fish and Game to remove bird feeders but did it say anything about protecting bee hives? If I think about it, it’s logical that bears would be attracted to hives. You must be very busy right now and I hope it all works out for you and your bees! I should have turned on the electric fence. Because there were no bees I was lazy. Lesson learned! Oh no! A good thing indeed that the new bees hadn’t settled in yet. What a fine welcome that would have been…. Lots of new electric wire going up and the charger is plugged in! I will start again with bees this week. Liked is the wrong word, but hope it sorts out soon. We lost chickens and ducks to some wild animal in Guyana and it was awful, he put electric wires up too. Thanks Cheryl. Just glad there were no bees home. What a strange and exotics place New Hampshire is. We have no bears here which is a good thing or I’d never be brave enough to walk in the woods. What a lucky thing the bees hadn’t moved in. Obviously all the stories of Winnie The Pooh and his legendary love of Hunny are true. Hah! Had to laugh at the “exotic” description, Marie. If you make a bit of noise, nothing in the woods will bother you, even the human hunters. I always have bells on my horse to warn off wild life – two and four-footed! !